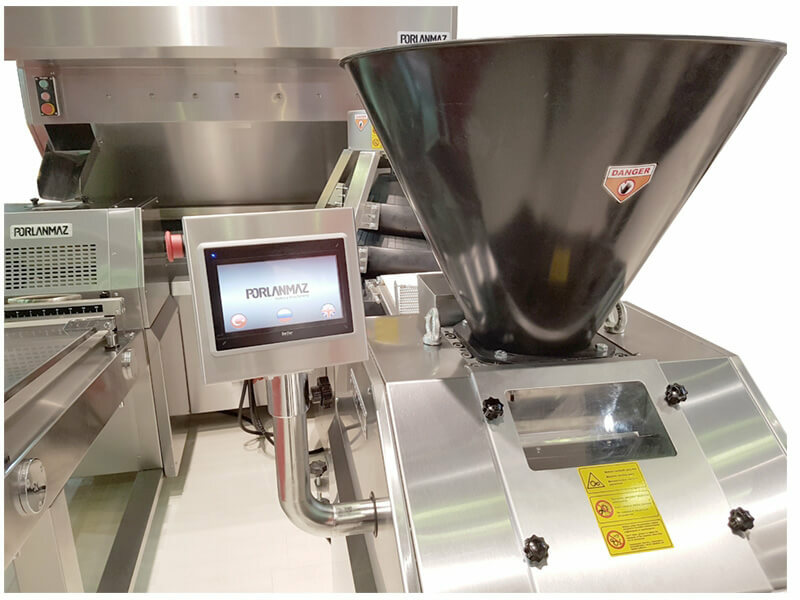 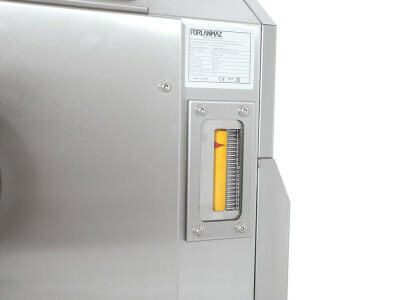 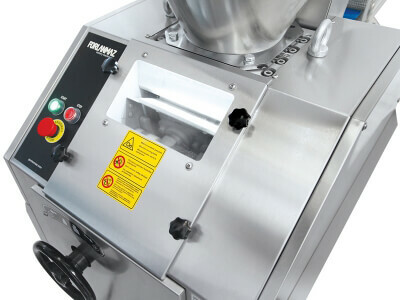 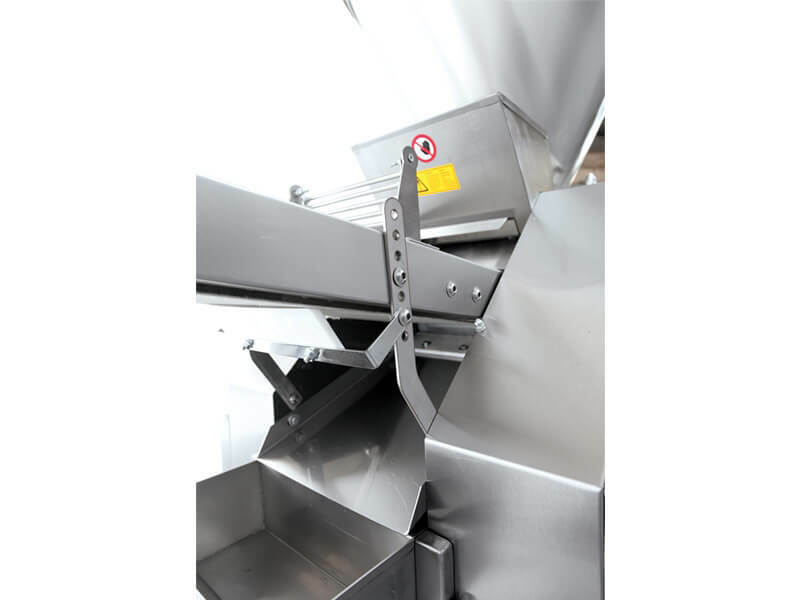 Porlanmaz volumetric dough divider machine, which is the latest system of the dough processing technology, cuts the dough at the requested weight without pressing and harming the dough. All the surfaces contacting the dough are made of stainless steel. It cuts the dough with its weight due to the vacuum generated by piston cylindermovement. 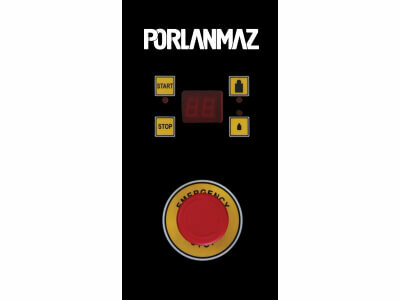 The lubrication system is automatically operated. 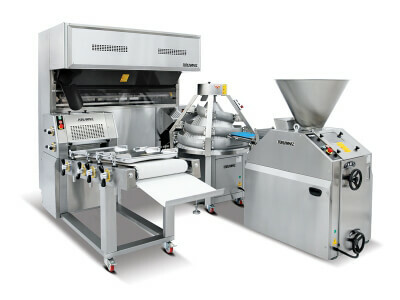 Thus, the machinery is provided to have longer life. 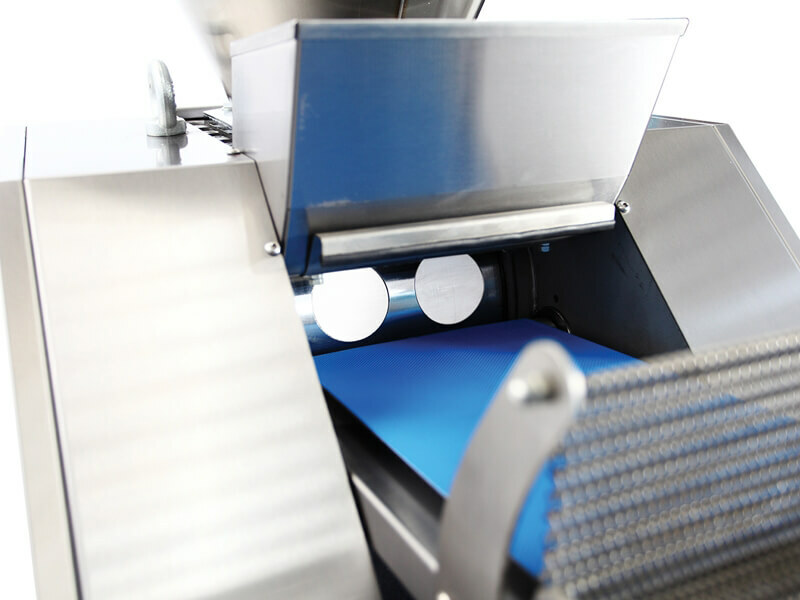 All surfaces are lubricated with the oil which is compatible of food. 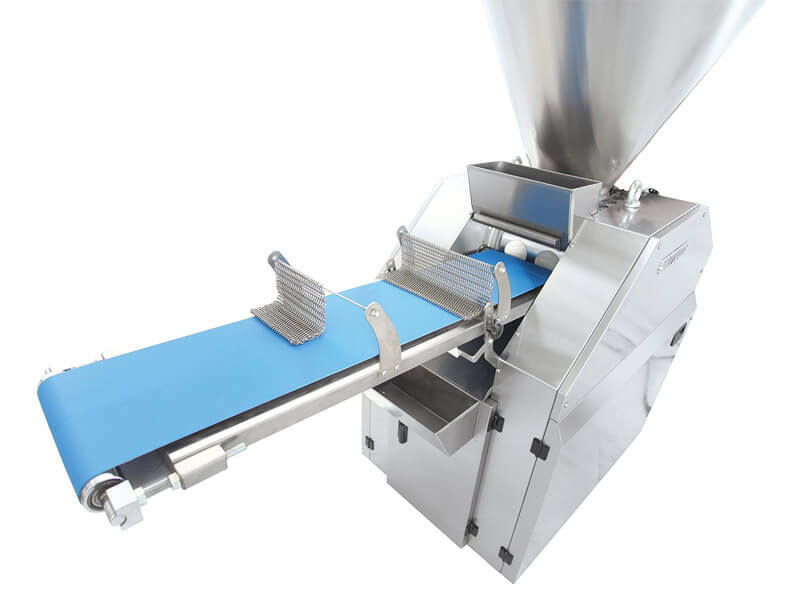 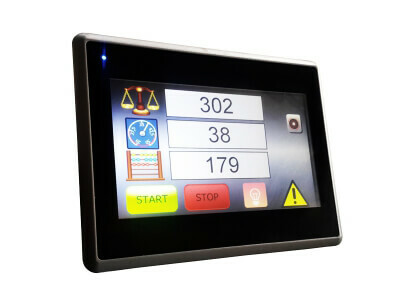 The adjustment of weight can be optionally manufactured both digital and mechanically. 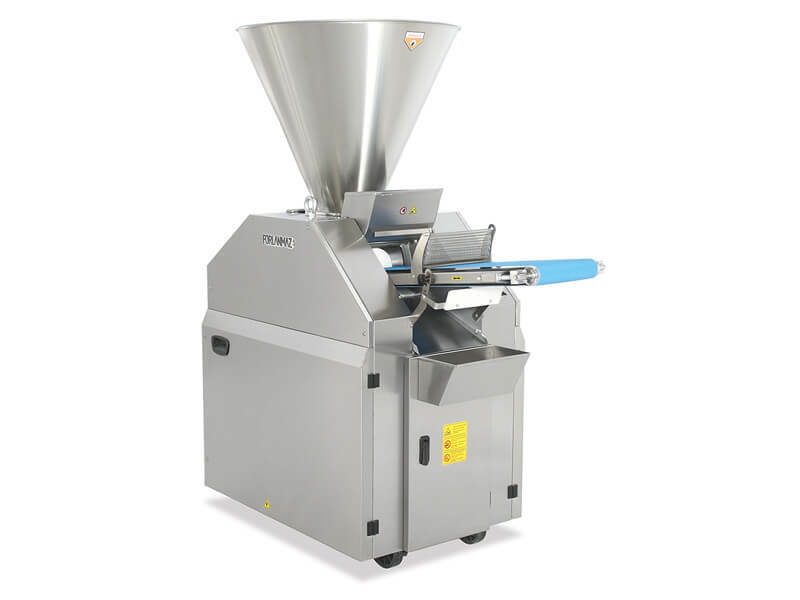 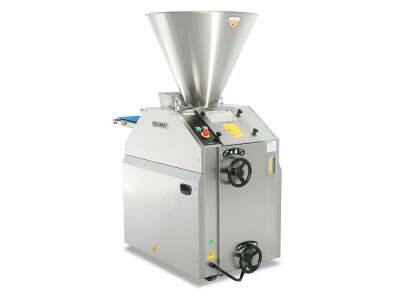 The hopper is made of stainless steel.